Kate provides case design support in the areas of estate and business planning. She assists financial representatives in creating sophisticated personalized strategies for individuals, families, and businesses. 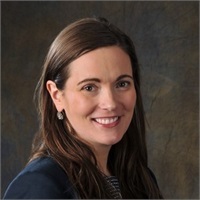 Prior to joining Barnum, Kate was an estate planning, probate and elder law associate with the law firm of Bishop, Jackson & Kelly, LLC in Milford, Connecticut. She assisted with legacy planning and estate administrations as well as public benefits and special needs planning. Kate has a degree in English and American Literature from New York University. She received her juris doctor degree from Quinnipiac University School of Law where she was the Opinions Editor of their Probate Law Journal. * Kate is admitted to the Connecticut Bar and is a member of the Connecticut Bar Association’s Estates and Probate and Elder Law sections. * Not practicing on behalf of MML Investors Services, LLC, or its affiliated companies.